(VOVWORLD) - The Communist Party of Vietnam's Central Committee, the National Assembly, the President, the Government and the Central Committee of the Vietnam Fatherland Front have issued a special communiqué, announcing that Mr. Do Muoi, former General Secretary of the Communist Party of Vietnam Central Committee, passed away at 23:12 on Monday in Hanoi after a serious illness. Mr. Do Muoi was born on February 2, 1917, in Dong My commune, Thanh Tri district, Hanoi. 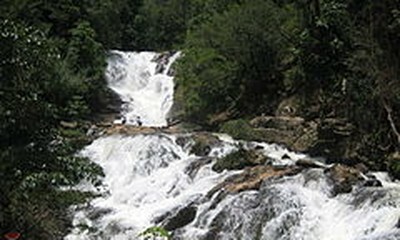 He started participating in revolutionary activities in 1936 and joined the Communist Party of Vietnam in 1939. He was Chairman of the Council of Ministers (now Prime Minister) from June 1988 to June 1991; General Secretary of the Party Central Committee from June 1991 to December 1997; and Deputy to the National Assembly in the 2nd, 4th, 5th, 6th, 7th, 8th, and 9th tenures. In more than 80 years of revolutionary activity, Mr. Do Muoi made great contributions to the glorious revolutionary cause of the Party and the nation. He was awarded the Gold Star Order, the insignia of 80-year Party membership, and many other honors and medals. A funeral with full national mourning protocol will be held for Mr. Do Muoi. The funeral board consists of 37 members led by Party General Secretary Nguyen Phu Trong. The respect-paying ceremony will start at 7am Saturday at the National Funeral Hall, 5 Tran Thanh Tong Street, Hanoi, and run until 7:30am Sunday. The memorial service will be held at 9:00am Sunday and the burial service will take place from 1:00pm the same day in his native land in Dong My commune, Thanh Tri district, Hanoi. 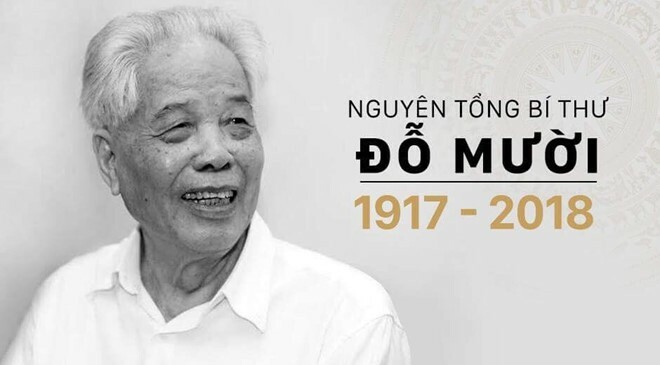 At the same time, respect-paying and memorial ceremonies for Mr. Do Muoi will be held at Thong Nhat Hall in Ho Chi Minh City. During the two-day national mourning on Saturday and Sunday, national flags will be flown at half-mast at State offices and public places, and recreational and entertainment activities will be paused.